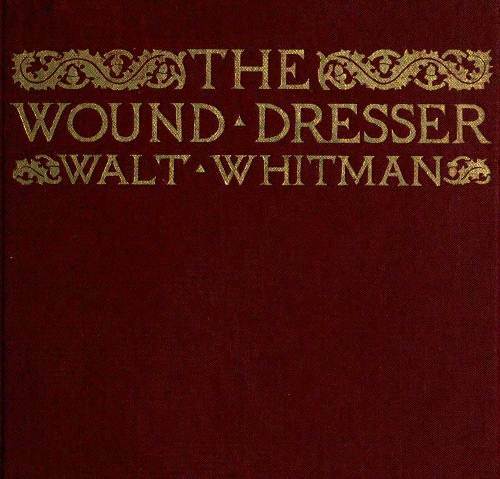 I just finished reading The Wound Dresser, by Walt Whitman and would like to share with you my review of the book and a few insights into the relevance to my blog project. This not to be confused with his poem, The Wound Dresser which is part of his poetry book, Drum Taps, rather is a book that looks back at his services to the sick and wounded during the Civil War. The Wound Dresser is a collection letters and columns written by Whitman during the time he spent nursing the sick, wounded and dying at the numerous Army hospitals in and around the Washington D.C. area during the Civil War. 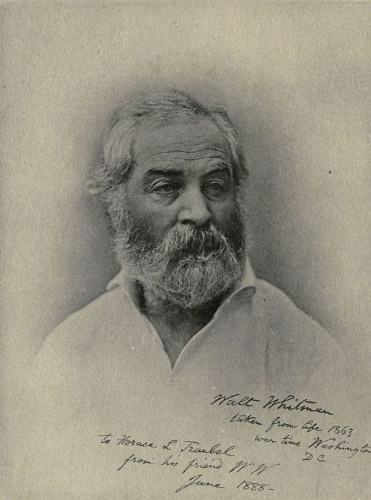 At that time in his life, Whitman was a well known poet both loved and despised by the public for his prose and his lifestyle. By 1862, his poetry collection, The Leaves of Grass, was a best seller of the day having been in print for nearly 20 years. This afforded him a level of notoriety as well as scrutiny for his lifestyle as rumors persisted of his homosexuality. The book centers around the time when Whitman traveled to Washington D.C. to search for his brother George, who had been wounded in the Battle of Fredericksburg in December of 1862. George Whitman was a captain in the 51st New York Infantry and during that battle, was wounded in the face by a shell fragment. Whitman's futile search in Washington, eventually led him to his brother's regiment in the field and a reunion with George at Falmouth, Virginia. Fortunately, George's wounds were minor and Whitman was able to report home to his mother the good news. It was during that time in the field with his brother's regiment that Whitman spent time helping the hospital staff with errands, chores and nursing activities. The most important support provided by Whitman was sitting with wound and sick soldiers and providing comfort and support. The two weeks that Whitman spent in the field with the sick and the dying so moved him that it started a mission that lasted 3 years. His time in the Union hospitals between 1862 and 1865 influenced him and changed the tone and color of his poetry. His subsequent poetry book, Drum Taps, reflects his change in tone. The Wound Dresser is a window into the thoughts, and emotions of one of the country's greatest poets. His letters home to his mother, brothers and sisters provide a rare glimpse into the soul of a man who was so dramatically affected by what he saw and what he did during the Civil War. So why should you read this book....well...besides the fact that it will give you a more orthogonal view of the Civil War...one that is less about the strategy and execution of battles, and more about the aftermath, it is just a good insightful read. As for me....I have stated that the blog would not only be about the letters and their publishing anniversary, but about expanded research and "gap filling". Also, I am interested in "connections". Given that JWD was wounded at the battle of Second Bull Run and subsequently treated in a Washington D.C. hospital (Georgetown College Hospital to be more specific), I wondered if he was ever visited by Walt Whitman. During my research, I found that Whitman arrived in Washington D.C. by train on December 19, 1862...the exact date that JWD was transferred from Washington D.C. to the Philadelphia Broad Street hospital for further recuperation. Could they have passed each other at the train station? Maybe....but probably not. More plausible is that they might have met during the Whitman's nursing activities and visits to his brother George in the field. It so happens that the 51st NY Infantry regiment was in the Army IX Corps, the same as JWD. The 51st NY and the 48th Pa, fought in the same battles and subsequently encamped in the same locations. Could it be that JWD met Walt Whitman in one of the many field hospitals during JWD's numerous illnesses? Maybe. The Wound Dresser documents the many letters Whitman wrote home of his nursing care for these sick and wounded soldiers while in the field visiting his brother.